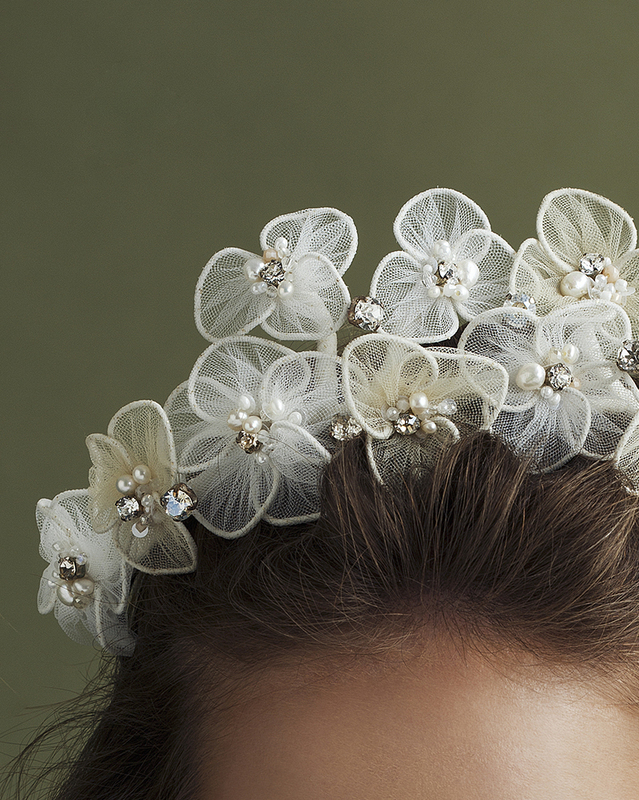 A double layered crown of flowers creating this “Beauty queen style” tiara. Our special signature sheer tulle flowers in different sizes, in white and champagne tones, assembled together. The composition of this piece creates a beautiful showstopper crown, projecting a symmetrical and sophisticated look. The details on this piece and the composition of the flowers are definitely the special part about it. 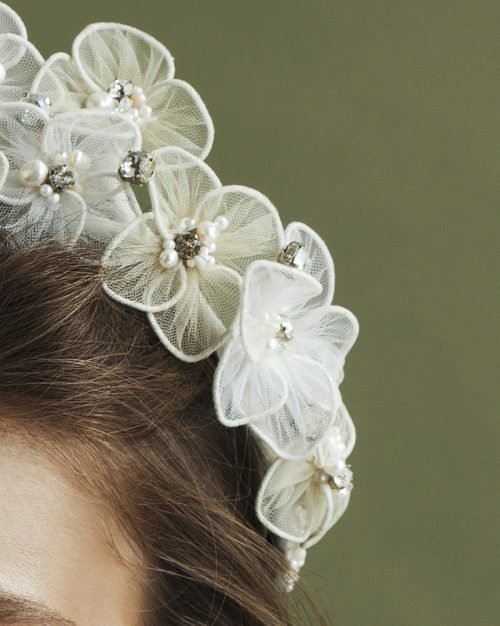 Each flower petal is flexible and every flower center is embellished with a special mix of pearls, Swarovski stones, crystals, beads and sequins. This piece is positioned behind the ears with our invisible headband. 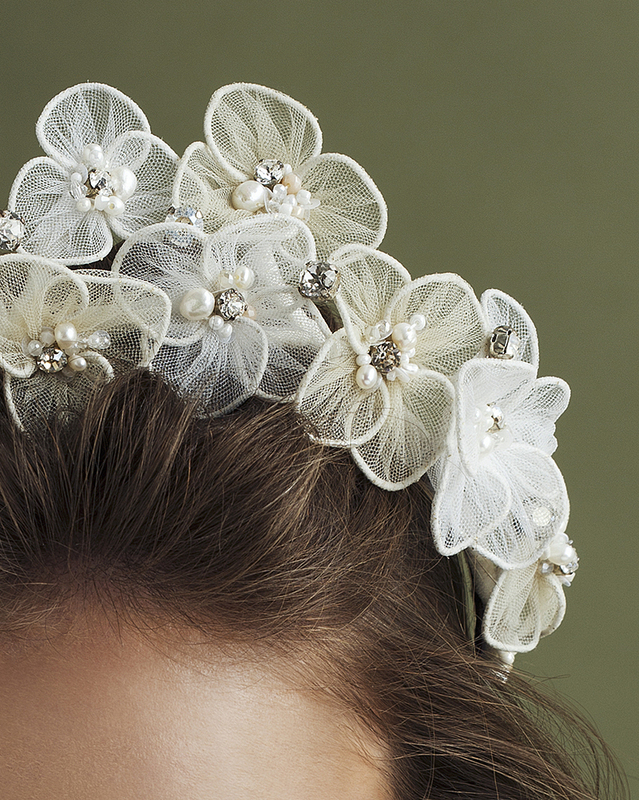 A unique floral takeoff to a classic shaped crown. Ready for shipping within 4 weeks of purchase.